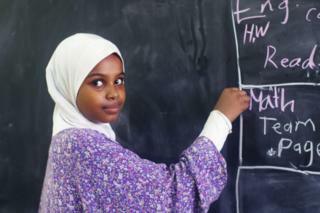 Image caption Twelve-year-old Alaa writes in English on the blackboard at her school in Sudan's capital, Khartoum. "People here aren't used to seeing a woman holding a camera in the streets," says Sudanese photographer Ola Alsheikh, "but I just decide to get the photo whatever it takes". Being mocked, rejected or verbal harassed by strangers are things Ola regularly has to deal with in the capital, Khartoum, but she refuses to let that put her off. "I want to show real life in Sudan - we've been marginalised by the rest of the world for a long time," she says. Here is a selection of her favourite shots. 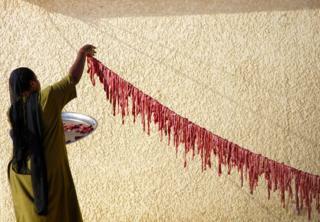 Image caption "Sun-dried meat, which we call sharmoot, is a key ingredient for classic Sudanese dishes like mullah tagalia or it can be served with porridge," says Ola. "This woman is drying the meat at home, which will take between three and seven days." 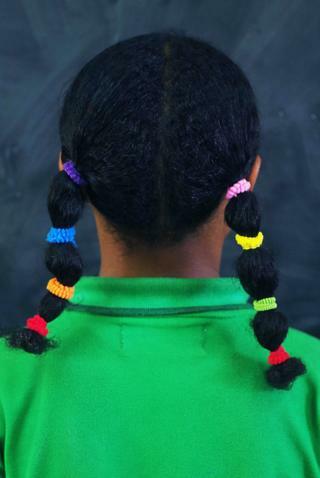 Image caption "This girl's hairstyle and the mix of colours grabs my attention," Ola says. "I'm interested in the global influences the pupils at this international school pick up." 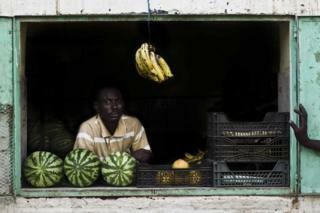 Image caption Fruit grocer Soleiman Mohamed Toum sells watermelons, grapefruits and bananas from his shop on Tuti island, where the Blue and White Niles merge. 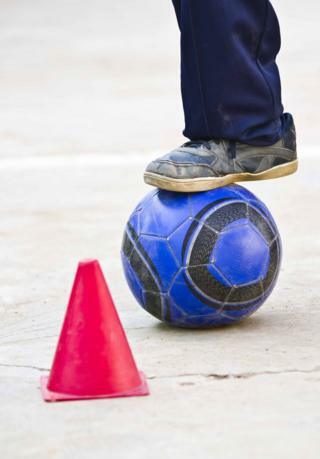 Image caption "The composition and contrasting colours of this boy playing football is what catches my eye," says Ola. 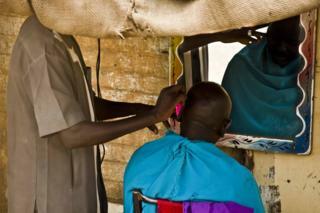 Image caption "Street barbers are a recent thing in Khartoum," Ola says. "Before it was only inside shops but now men can get a haircut in markets, streets, and bus stations." 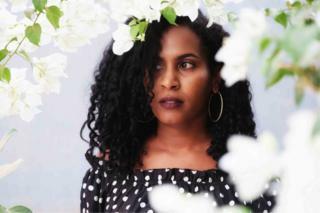 Image caption "Lifestyle blogger Nuha Malik and I have been friends for years - this photo of her is part of an Instagram series on curly hairstyles," says Ola. 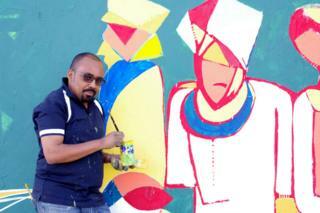 Image caption "This mural shows humanity in harmony," painter Sari Awad tells Ola. "Sudan's unique ethnic diversity is what it makes our community special." Image caption "This is a rare quiet moment on a Friday in central Khartoum. 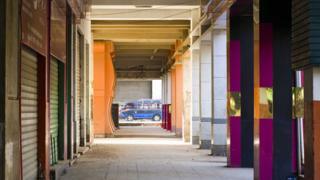 I like the colours and the sight of the bus at the end of the colonnade," says Ola. 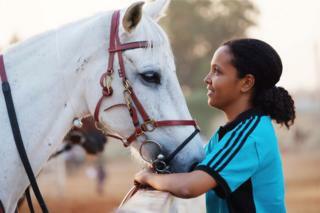 Image caption "Enas Siddig is an endurance rider who has represented Sudan internationally," says Ola. "I love the strong bond between her and her horse."